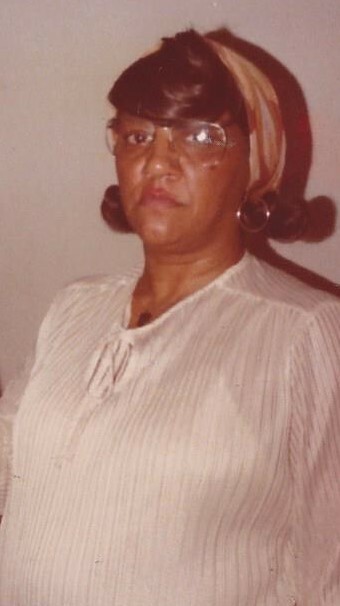 On Saturday, January 6, 2018, the soft and gentle voice of our Lord called home to rest, Mary Bernice Jordan. Mary was born on September 11, 1931 in New York City. She was one of thirteen children who all preceded her in death, born to the late Lucy and Thomas Clark. Mary met and married Raymond Jordan, who preceded her in death, they were partners for over forty-five years. From this union, they were blessed with six children, Raymonda, Karen, Kim, Raymond, Jr., Derek and Parrish. She was a full-time Mom and homemaker. Her favorite recreational activity was playing bingo, and always enjoyed playing pokeno with her family and friends. She also had great skills in the kitchen with her spin on soul food. She had a “no-nonsense” personality and a great sense of humor. She always kept up to date with the latest info on family gossip and events. Mary, who was affectionately called aunt “Bede,” life, can be expressed by the words of the song, “I Did It My Way”, by Frank Sinatra. We the family, mourn her passing but remain joyful that she is in the arms of the savior. With this understanding and faith, we humbly submit to God’s will. Mary leaves to cherish her memory, her seven children, four daughters, Irvina, Raymonda, Karen and Kim; three sons, Raymond, Jr., Derek and Parrish; Nineteen grandchildren, thirty-one great grandchildren and one great great grandchild; one son-in-law, Rev. Eddie Stretchen, and one daughter in law, Mechelle Jordan. To everything there is a season and a time for every purpose under Heaven a time to be born and a time to die.